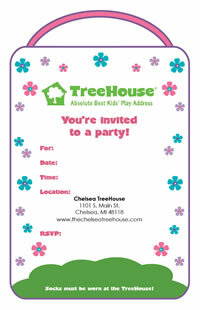 New and improved TreeHouse party invitations are now available for you to download and print. 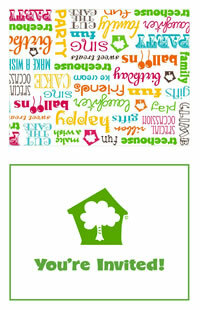 We’ve restyled the layout so they are easier to print and cut to size. 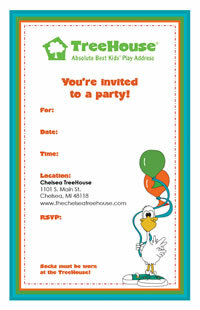 Each invitation file is ready to print on your letter size paper, 2 per sheet. Just cut in half and you’re all set! 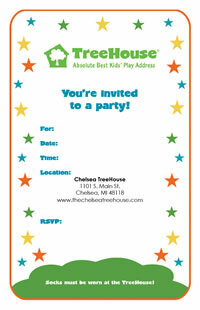 If you are able to print two sided, we also have a new design that you can print on the front of any of our designs. 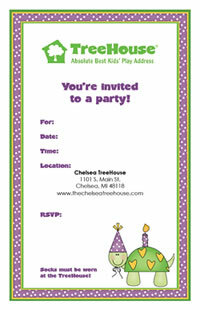 These are intended to be printed on the back of our invitations and then folded. 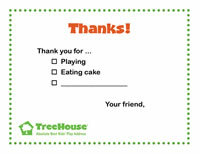 We also have thank you’s available that make it a cinch for your child to fill out and give to his or her friends after their TreeHouse birthday party. Click image to open PDF file and then print as many copies as you need from your own computer. 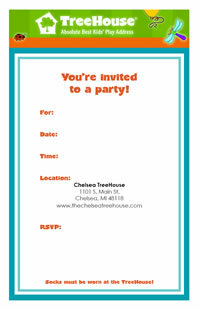 If you are able to print 2-sided from your printer, this design may be printed on the other side of your invitations, cut in half and then folded. This is totally optional, and up to you if you’d like to make it work from your own computer. 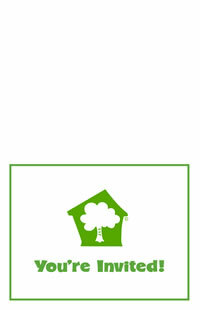 Click image open PDF file and then print as many copies as you need from your own computer.